I have over 30 years experience in presenting talks, seminars and cookery classes. Whatever your group, whether it is an CFS support group, WI or Parents and Toddlers etc, I will always bring an interesting and informative presentation, in a friendly and relaxed manner. My aim will be to explain, using props and Powerpoint, just how we can start thinking about the nutritional content of the foods with which we fuel our bodies. Contact me to discuss your requirements and how I can best serve your group. Seminars offer an opportunity to explore a little more in depth the role of food and nutrition in health. 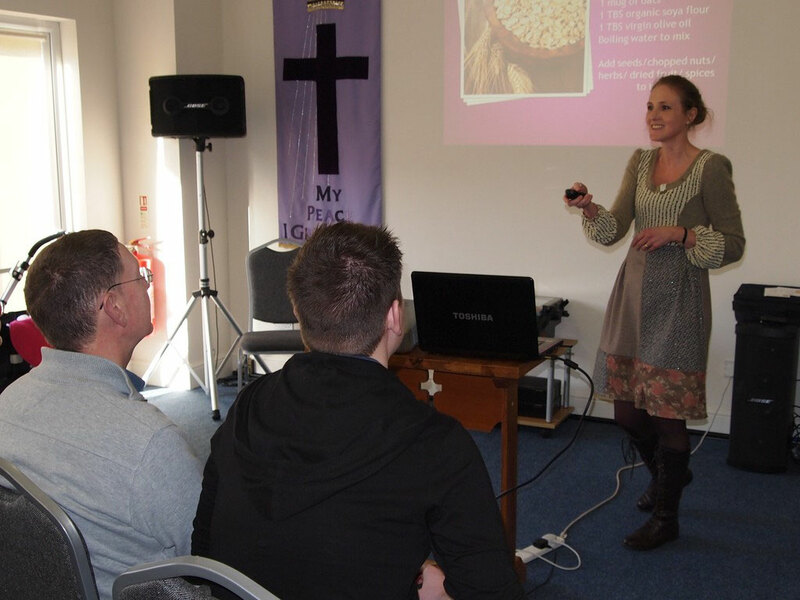 Suitable for business settings and churches, the seminars will be both informative and interactive, enabling the delegates to come away with a greater understanding and ability to apply nutritional principles to their own diet. Wholefood cookery classes take the principles of healthy eating and apply them to daily meal plans and menus. Whether you want to attend one of my pre-arranged cookery classes, would like me to run a class or series of classes for your group, or you would like a personal class to help you with dietary changes or restrictions, I will make the class relaxed and interactive. I will demonstrate a cross section of recipes to give you insight into how to use natural and healthy foods in your own kitchen. "The feedback on our evaluation forms was overwhelmingly positive, many describing Emma's talk as excellent, interesting and informative…"